Product prices and availability are accurate as of 2019-04-19 15:21:08 UTC and are subject to change. Any price and availability information displayed on http://www.amazon.com/ at the time of purchase will apply to the purchase of this product. 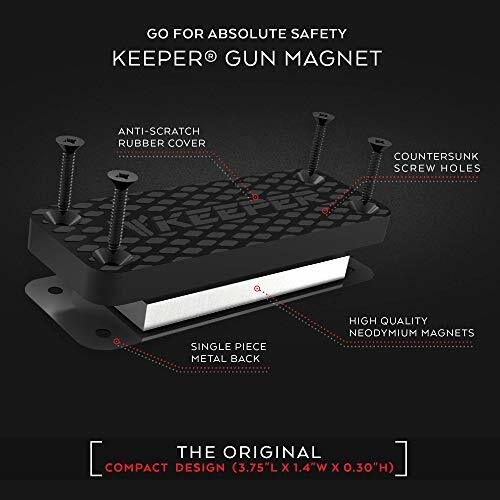 KEEPER's Magnetic Gun Mount, A Revolution In Gun Access And Storage Accessories. - High grade N35 Neodymium magnets rated at 35 lbs. - Single piece metal design, build for strength and durability. 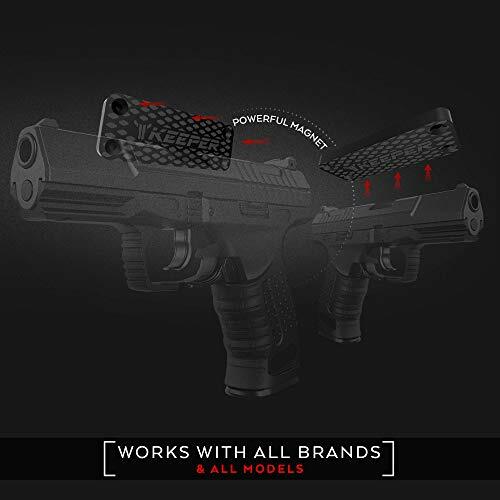 - Thick high quality rubber cover protecting your firearms from any scratching. - Unique four magnet setup provides a strong grip while also keeping your firearm straight. - Protective packaging including four self-tapping screws and installation guide. - No longer do you need a specific holder for each gun, if it has metal you can mount it. 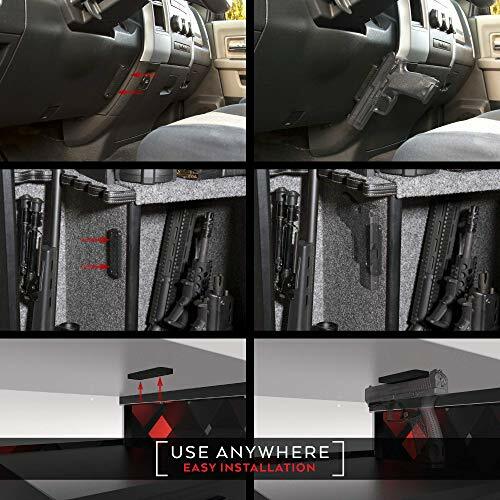 - Mount almost any gun type and model in various ways for quick access or storage. 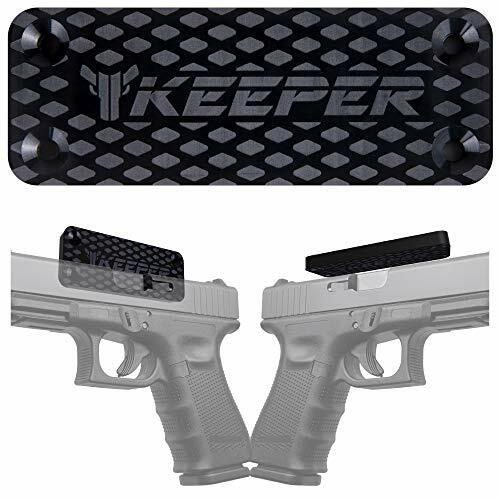 - Sleek beautiful 3.75"L x 1.4"W x 0.30"H design allows for a low-key concealed gun mount. - Countersunk screw holes that makes your screws sit lower than the rubber cover. - Flat square metal back makes it ideal for installation with double sided tape. - High-Tech Halback Array setup clears the back of magnetic force, stopping interference with electronics. 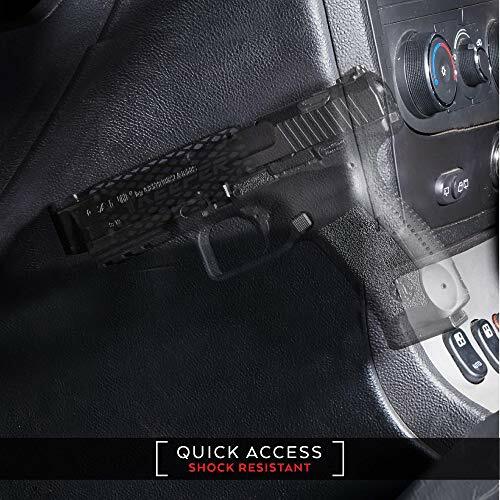 USE IN HOME OR VEHICLE: Easily install our magnet in your Car, Truck, Wall, Vault, Bedside, Doorway, Desk, Table, Safe... LOWKEY SYSTEM: Our beautiful compact 3.75"L x 1.4"W x 0.30"H design allows for a sleek concealed gun mount. Includes 4 black self-tapping screws and installation guidelines.